The workshop was great in so many respects, not the least of which was Jim himself. 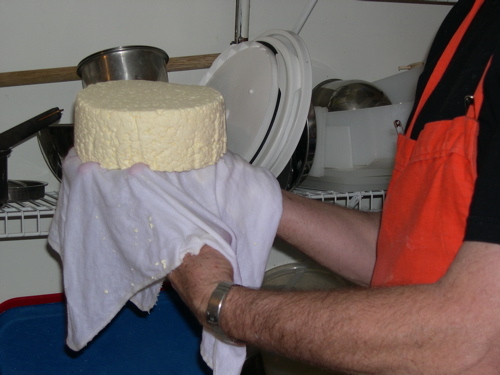 To say Jim is a hobbyist cheesemaker would be a gross understatement, although ultimately that's what he is. In his basement, which is where the workshop took place, he has set up a mini creamery, decked out with lots of handmade gadgets, utensils, and equipment, as well as lab equipment that could make any mad scientist jealous. 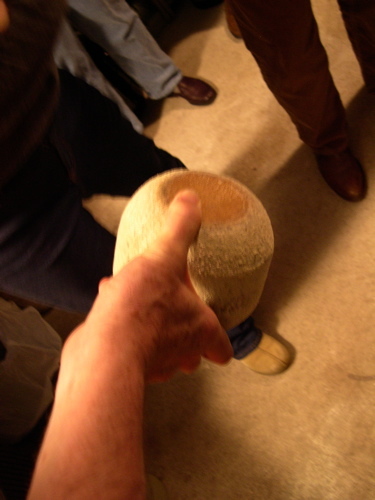 He has also built an affinage cave in his basement, which stays cool and damp year-round. Jim, it seems, started life as a photographer but has ended up becoming an expert in a bunch of artisanal food fabrication endeavors including beer making, wine making, pickling, and of course, cheesemaking. 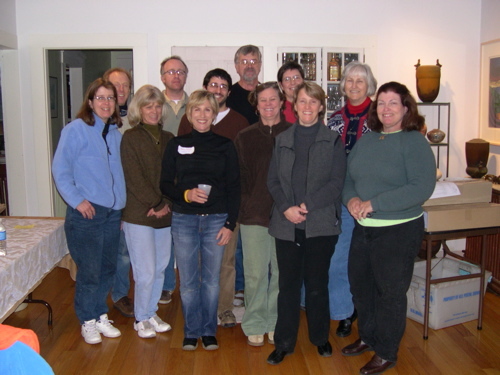 The second thing that made the workshop great was the variety of attendees. From the amateur curdnerds like me who have made a few cheeses at home but want to improve, to the goat farmers who wanted to add value to their operation, it was a nice cross section of people, both in terms of skill level and geographic location. There were a couple of women from Texas, as well as one who flew in all the way from California! I learned a lot, got my hands wet, and took a lot of pictures. Jim talked a lot about managing acidity, something I haven't dealt with yet. 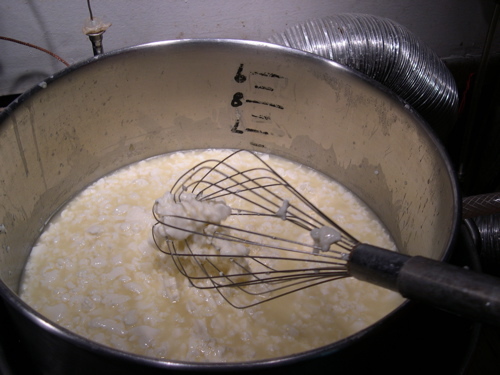 All of the books I've been using skip this aspect of cheesemaking for the sake of simplicity. 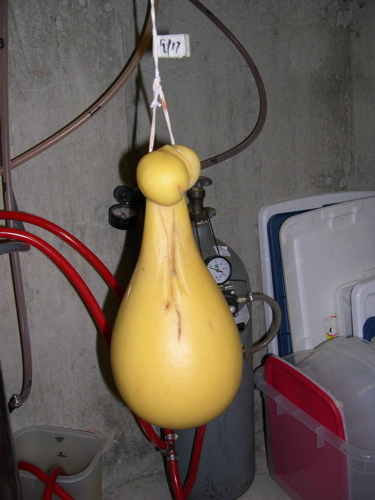 However, having just read Paul Kindstedt's new book American Farmstead Cheese , and now hearing Jim stress the subject as well, I am now fully convinced that monitoring and controlling acid levels is one of the most, if not the most, important way to control the final quality of your cheese. Other topics we covered included the different varieties of milk and their impact on the final flavor, texture, and yield (and by variety I mean species of animal and the particular breed, and whether or not the milk has been pasteurized), the different types of bacteria, mold, and yeast cultures and how they affect the cheesemaking process, and finally how to handle the cheeses during affinage. 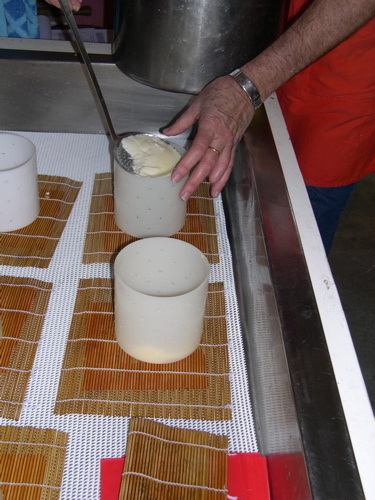 I am really inspired to continue my cheesemaking journey; I have a lot to learn, but that is why I like doing it. 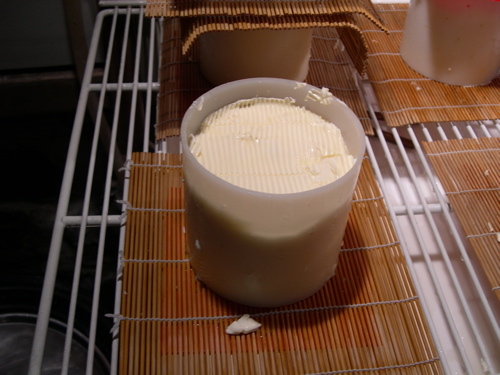 Almost everyone can eat cheese; only a handful are willing to invest the time and effort to learn how to make it. A few of the best pictures I took are posted below, and again the whole lot can be found on my personal website. 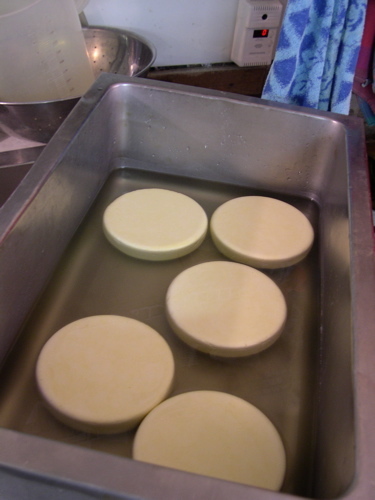 Caciocavallo, a traditional Italian spun-curd cheese, also made by Jim.